The perfect item for the real swordsman. 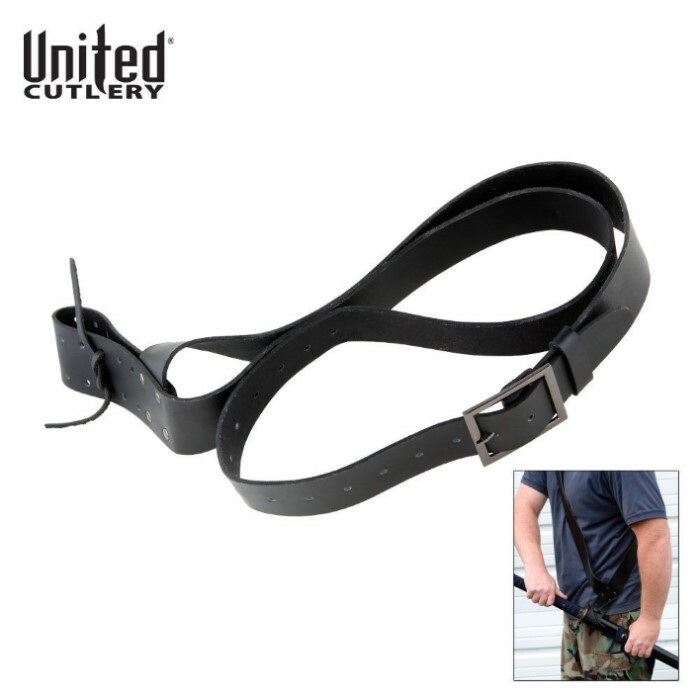 Wear your favorite sword wherever you go with this classic leather baldric harness. Adjustable and comfortable! 21-29" adjustable strap. Sword not included. I'm going to need a instruction booklet for this. At first, I was confused on where it went, but latter on I got on how it works. Thank you TrueSwords for offering such a product. This belt seriously needs an instructional manual. I Purchased This For A Kydex Sheathed Sword That I Recently Purchased And Even Though The Sheath Is Wide The Baldric Fit Nicely Over It. (On The Largest Setting). This Would Not Work For Sheaths Bigger than 3.5 Inches Wide. The Shoulder Strap Adjusts Nicely To Fit Anyone. Very Satisfied! Great for occasional costume wear but i didn't trust it for the wear and tear i would put it through. Not terrible especially for the price but it wasn't rugged enough for me personally. Also the buckle sat a bit too high for me. I'm a short guy so this was partially expected. Not real thrilled but for occasional costume wear it works well enough especially for the price. When asked, i make these points then explain that if they can live with these drawbacks and limitations then they should get it. 3 out of five stars because it doesn't really work for what i needed. I am a short guy. Right at five feet, and at first, I was thinking that it wasn't going to fit. But it did! And it's awesome! I used the Shadow Warrior katana (from our very own Trueswords) and it worked great. You just have to make sure you make a tight knot with the strings cause it gets really loose pretty quickly. But yeah, it's pretty cool, and I felt awesome wearing it. I don't see why the bad reviews. This is a great shoulder frock, and by that I mean it allows your sword to hang at the waste with the belt slung onto the opposing shoulder. 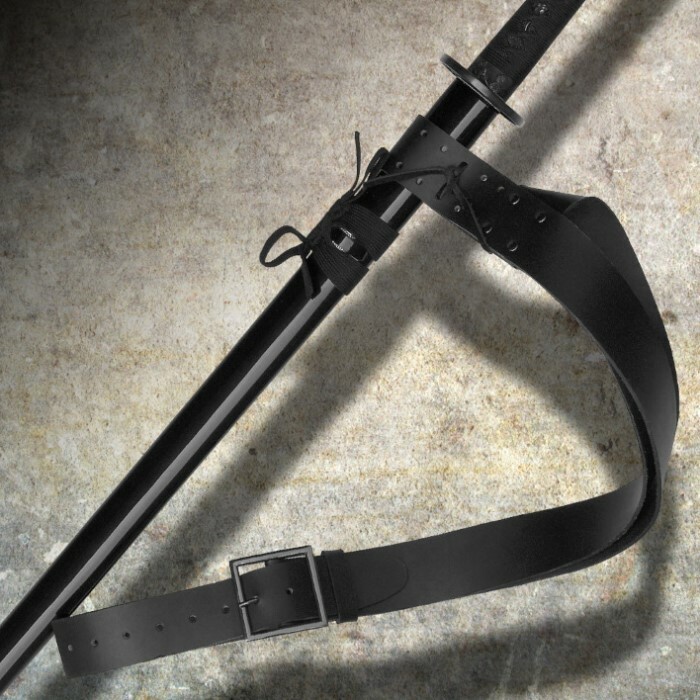 I bought this hoping that I would be able to strap a sword across my back (using the strap system as a baldric basically), but no luck. It only works as a hip mount. It's not even tight enough for me, it kept slipping off until I made another hole myself. Overall, don't buy this if you're looking for a baldric, because it will not work.